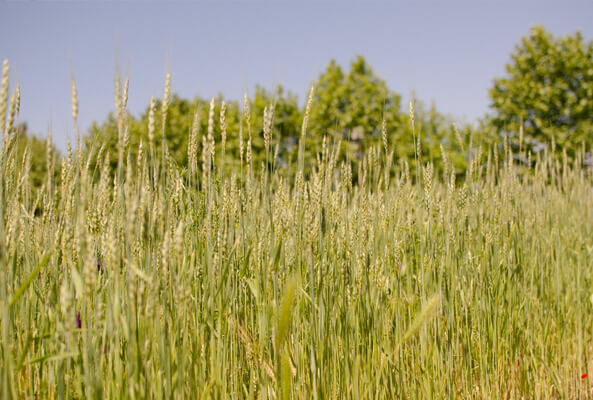 we have the pleasure to share with you a piece from the tv program “Mi manda Rai 3” exclusively allocated to our organic-dedicated mill that has been selected as one of the best artisanal mills in Italy for the production of organic flours made by stone grinding. In this video, you can see the owner of Antico Molino Rosso, Gaetano Mirandola, showing you all the features and the importance of the organic flours and the working process, from the storage to the packaging. 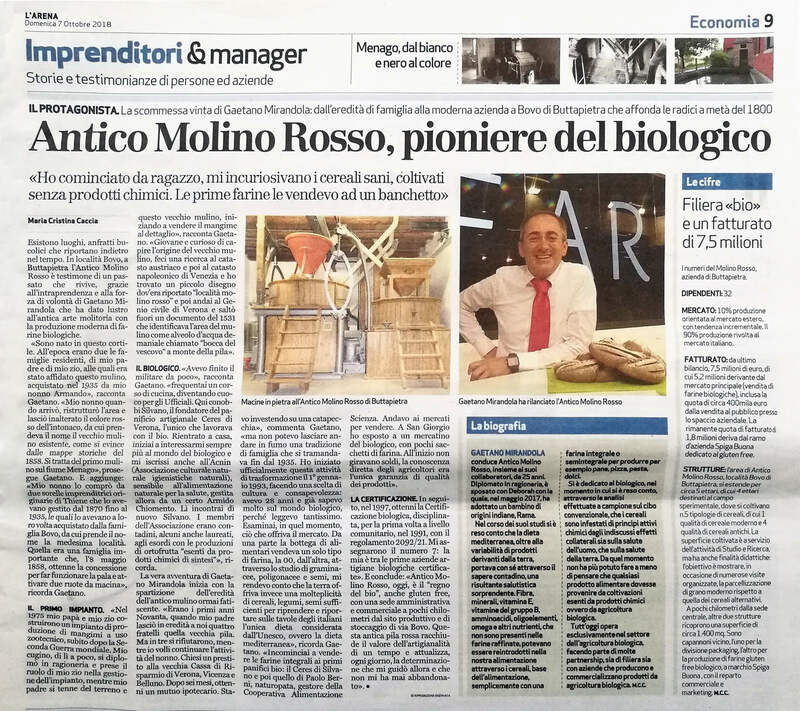 we have the pleasure to share with you an important reward that Antico Molino Rosso received from the newspaper “L’Arena”. All of this has been possible thanks to the trust you gave us, walking with us through a profitable path of growth and improvement. This reward is dedicated to you. 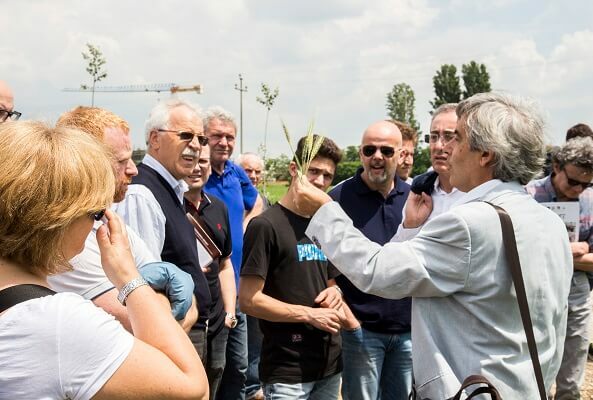 Even this year Antico Molino took part of the Biodiversity Day, in collaboration with the Agricultural High School “Stefano Bentegodi” situated in Buttapietra. The school has introduced for the first time the Organic Farming as subject and a post-diploma specialization. During the conference, Gaetano Mirandola spoke about the transformation of the Ancient Cereals in Short chain. At the end everyone went for a lovely walk through the experimental fields of the school and had the pleasure to see and understand the variety of the farming until reaching the Mill, where everyone was welcomed with a refined organic lunch. To help with the table service, there was the High School “Carnacina di Bardolino” with which Antico Molino Rosso since years has an advantageous partnership. 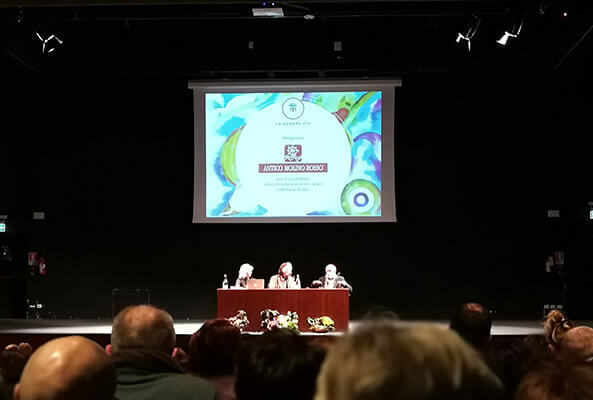 Gaetano Mirandola took part in a conference which was organised by local associations with Caritas of Vicenza. 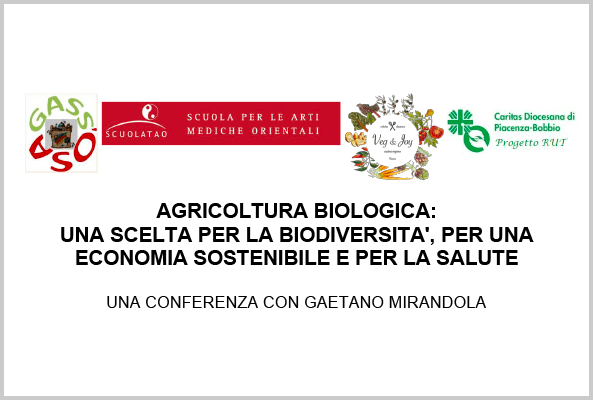 The theme was “Biological Agriculture – A choice for the biodiversity, for a sustainable economy and for health”. 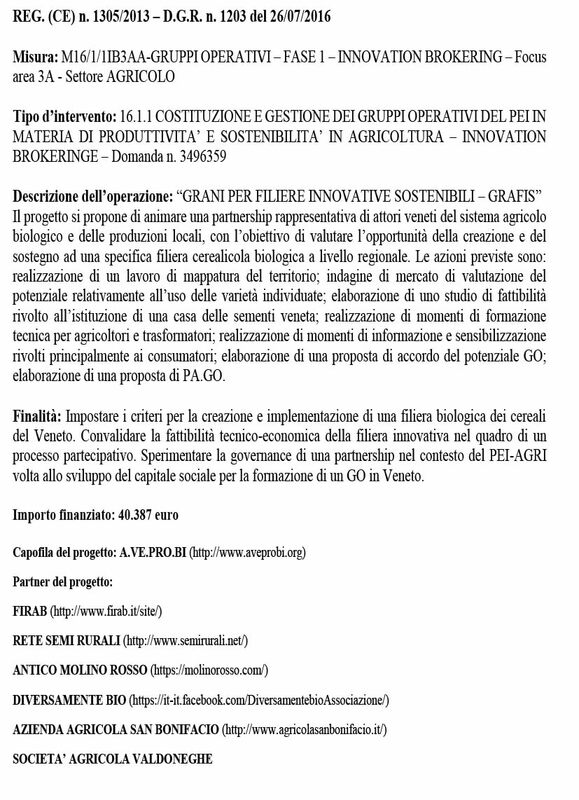 Gaetano’s speech was focused on two main points: first, the risks of a contaminated agriculture from the high use of pesticides and, second, the advantages of choosing products coming only from organic farming. 13th of May 2018 was a significant day for our territory. Thousands of people got together in three different cities to march in favour of a safer agriculture for people and the environment. 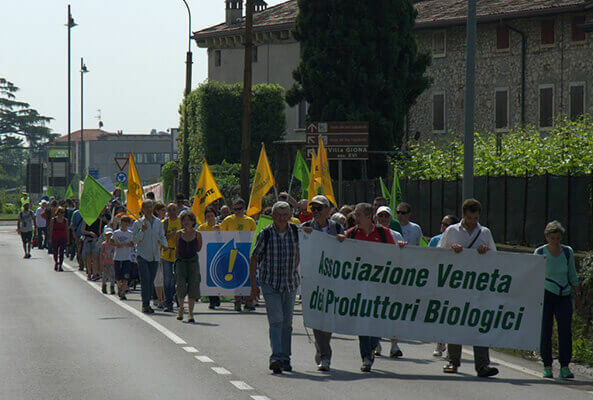 From Cison to Follina (province of Treviso), from Caldaro’s lake (province of Bolzano) and from San Pietro in Cariano (province of Verona), a unanimous voice spoke against soil’s poisoning caused by a high use of pesticides. Gaetano Mirandola and his family were present to represent the commitment of Antico Molino Rosso to the defence of the environment. 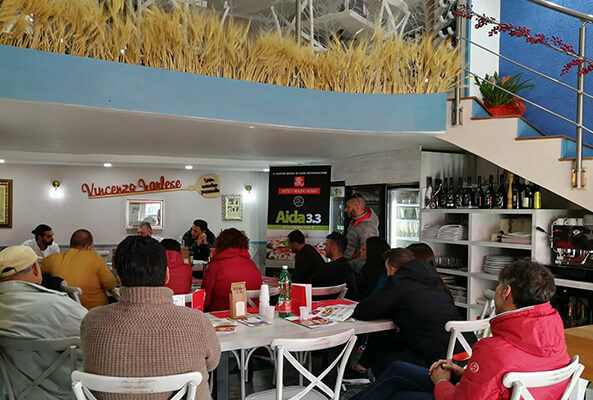 “La Mia Farmacia” in Verona organised a meeting about the benefits of a natural nutrition, in which Gaetano Mirandola and Daniele Ieardi (bakery technician from Antico Molino Rosso) took part. Gaetano Mirandola spoke about Ancient Cereals and their importance for the biodiversity and health; he also offered some bread made from his semi-wholemeal flour “Aurora” to all the guests. 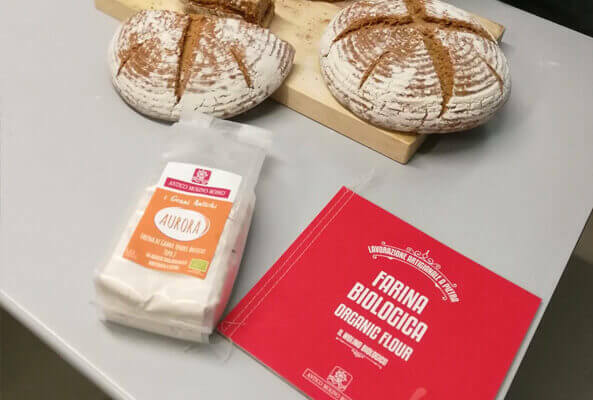 “Medicina da Mangiare”: a meeting rich of information and precious suggestions from Dr. Franco Berrino in which he praised nutritional qualities and the taste of our bread made with organic noble flours “Gentil Rosso” and “Aurora”. We share and promote Dr. Berrino advices to consume as much as possible whole grains coming from Organic Farming, and food of plant origin of the “Mediterranean Diet” to take care of our health. During the meeting “Il Gusto del Grano Giusto” organised by Slow Food Oglio Po, Gaetano Mirandola spoke about the delicate and fundamental topic of the biodiversity, subject close to Antico Molino Rosso’s heart. This event was very precious, because it touches topics of a high importance and utility for everyone. This was a two-days event at the pizzeria “Sua Maestà La Pizza” founded by master Vincenzo Varlese in Naples, where the main topics were the Training on Organic Farming and the Pizza Napoletana. The seminar aimed to raise awareness of the characteristics, advantages and benefits deriving from the use of semi-integrated type 1 (Aida 3.3), type 2, whole-wheat and multigrain flours. There was a great participation and involvement by the pizza makers and professionals about the topics covered. 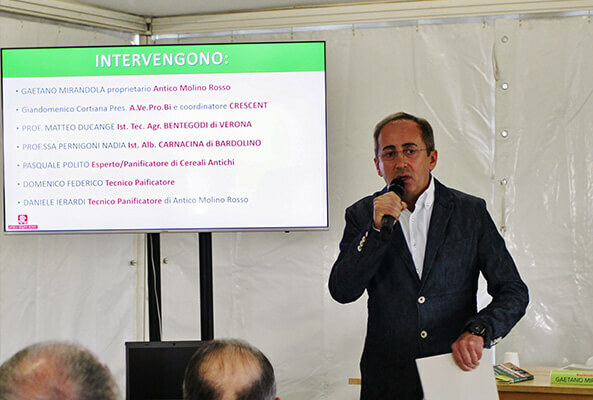 For the second year in a row, Antico Molino Rosso, in collaboration with the Venetian Wine Producers Association, has dedicated a day to the promotion of the culture related to the Ancient Cereals and their importance for the environment and for our health. 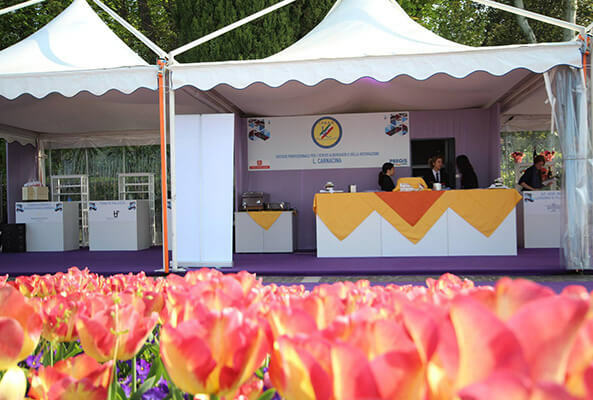 All those present at the event were involved in an organoleptic test, they were tasting six types of bread prepared by the company’s bakers and by professionals. 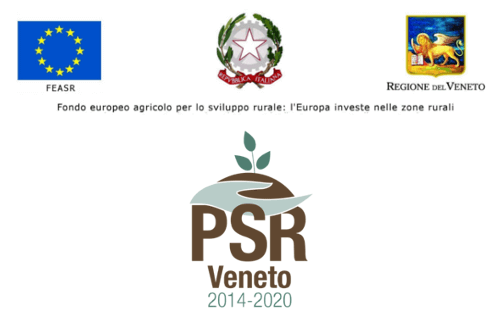 With great pleasure, we hosted the second edition of “Zampette nel Verde”. 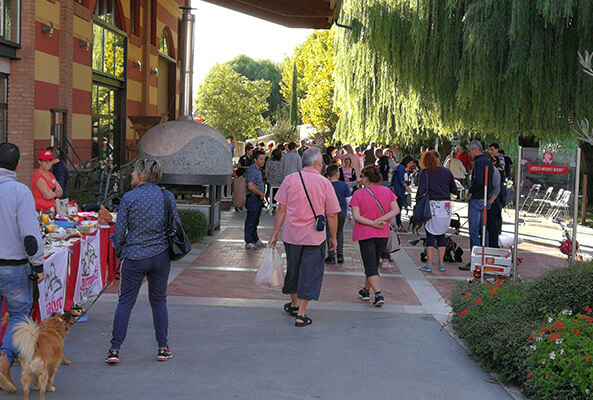 The party, organized by the animal non-profit association of Verona, has been full of fun and interesting activities for adults and children accompanied by their inseparable four-legged companions, the real protagonists of the day. Proceeds were donated to the association to help and support all the animals in need. 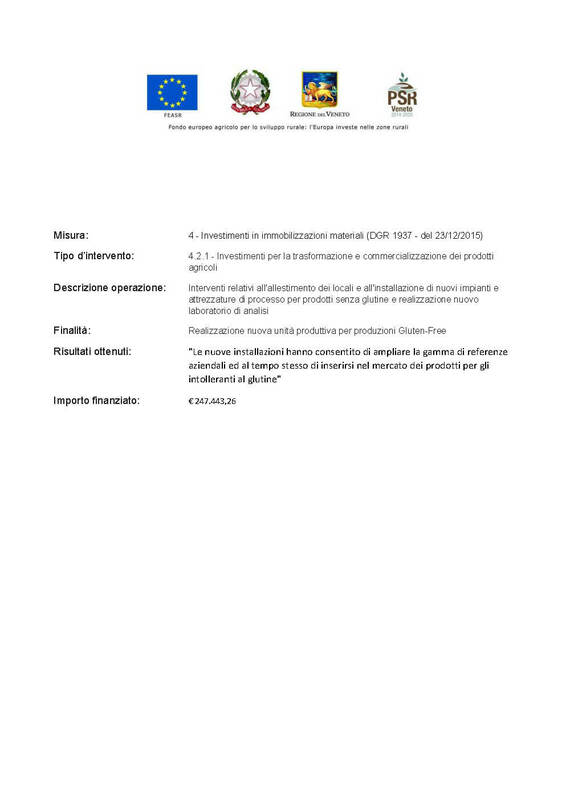 The house dedicated to gluten-free bio has opened the doors to present the establishment to all those who, out of necessity or curiosity towards a natural and gluten-free diet, want to know the world of production of the certified and organic “SpigaBuona®” gluten-free line. 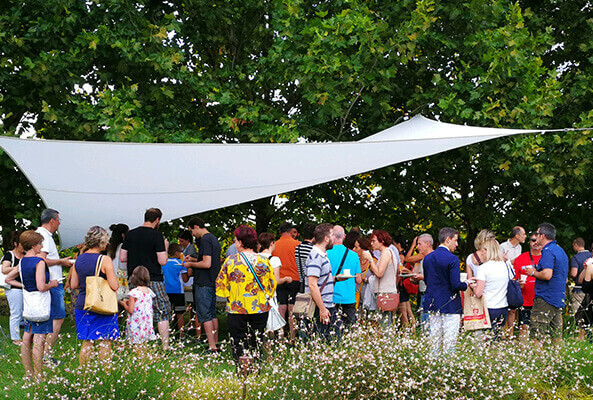 It was a very pleasant summer evening, animated by live music and enriched by a special aperitif with lots of goodies. 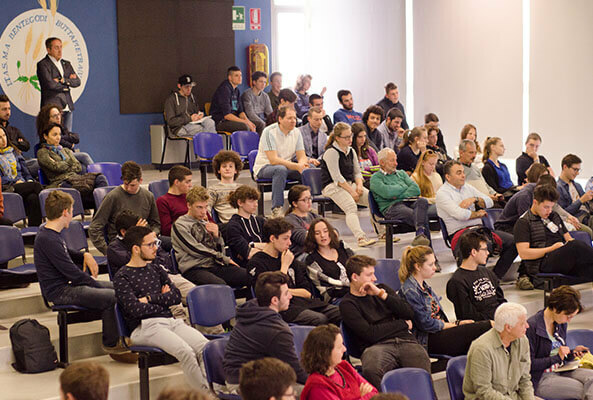 Great participation in the conference at the High School “Stefano Bentegodi” with the professor geneticist Salvatore Ceccarelli. Gaetano Mirandola, owner of Antico Molino Rosso, took part in the debate. He examined the theme of ancient organic cereals and dry yeast, presenting the tasting of the breads prepared with mixtures of ancient and modern cereals by our bread-maker Daniele Ierardi. It was a real pleasure to see the involvement and interest of the children present. Even this year “Vinitaly and The City” was a very successful event and we were in collaboration with the High School “I.P.S.A.R. Luigi Carnacina”, with whom we have established a solid partnership. With high professionalism and discipline, they have contributed to the full realization of the whole event. The TV show “Ricette all’Italiana” on Rete 4 has dedicated an exclusive service to our mill selected among the excellence of the Veneto region. 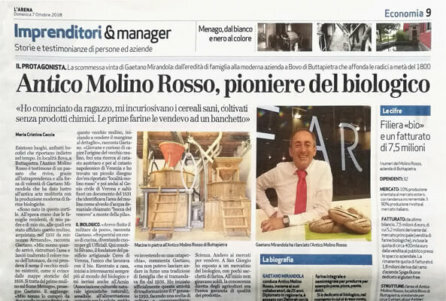 Antico Molino Rosso presented its own Bio World with stone-ground flour and certified, organic gluten-free “SpigaBuona®” products. Thanks for watching!